Standard zinc-plated flat washers stamped firmly into a groove for a permanent stop. Assembly is completely plated. 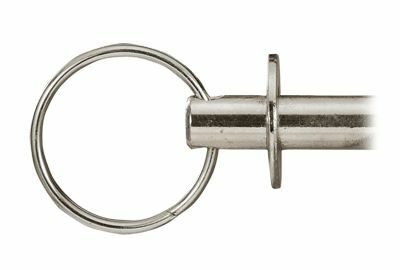 Contact us for more information about Ring Pins with Collars.